We’re really excited about a couple of deliveries we’ve just had. We’ve managed to get our hands on a batch of brand new disc-equipped 2013-14 season Cyclo-Cross bikes and we’re just about to release them for sale. With the 3-Peaks Cyclocross just over a month away, we’re thinking they may just be of interest to riders preparing to tackle that epic event. We’ll do a full feature on them tomorrow, but in the meantime, here are a couple of pics to whet your appetite. 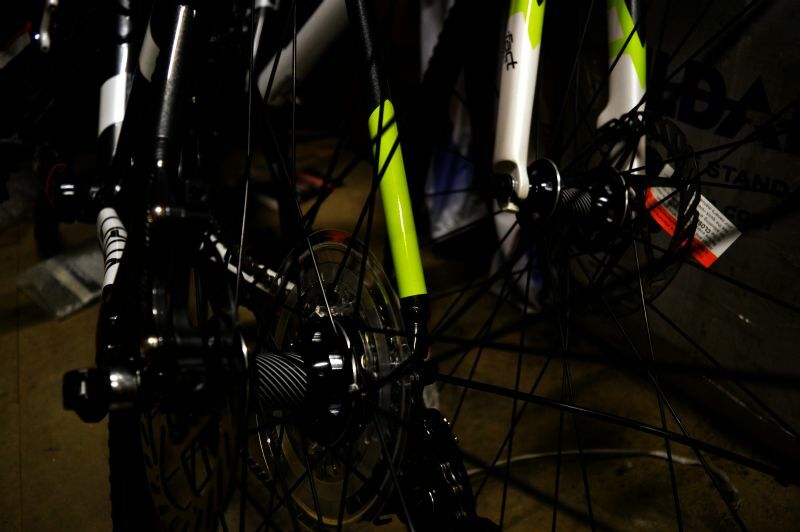 This entry was posted in Latest News on August 21, 2014 by pedalsportclub.